Jools Holland sees in the New Year with a star-filled line-up featuring Cyndi Lauper, Jessie J, Sandie Shaw, Aloe Blacc, James Morrison, The Vaccines and Betty Wright. 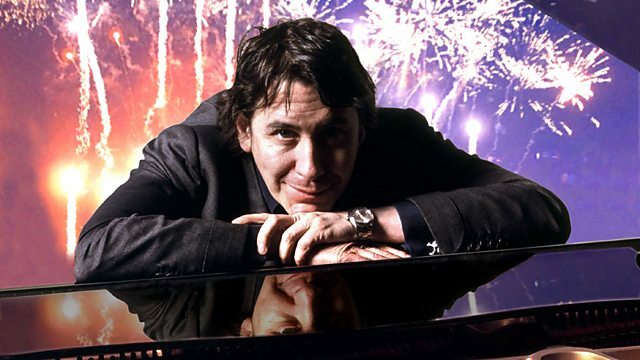 Jools Holland sees in the New Year with a star-filled line-up. Cyndi Lauper performs a couple of her biggest songs along with a track from her recent blues album Memphis Blues, accompanied by legendary US electric blues harmonica player Charlie Musselwhite. Jessie J, who made her TV debut back on Later with Jools in 2010, returns to crown her successful year with her signature tune Price Tag. Barefoot pop princess of the 1960s Sandie Shaw performs her two No 1 singles including 1964's Always Something There To Remind Me. Californian soul singer Aloe Blacc performs songs from his Good Times LP including massive hit and sing-along number I Need A Dollar. James Morrison performs a track from his recent No 1 album The Awakening, plus a song by one of his musical idols, Mr. Stevie Wonder. The Vaccines storm through some of their great surf-pop tunes from their debut album What Did You Expect From The Vaccines? Miami soul-queen Betty Wright jets over to reprise her 70s classics Clean Up Woman and Shoorah! Shoorah!, and to debut a track from her latest album Betty Wright - The Movie. Caro Emerald performs from Holland with a number from her bestseller Deleted Scenes From The Cutting Room Floor. Buddy Greco swings his way through a couple of standards including his take on The Lady Is A Tramp. And Dublin's own queen of rockabilly Imelda May ensures you jive your way into the New Year, along with Illinois' Pokey Lafarge and the South City Three. All this, and the band of the 1st Battalion Scots Guards ready to blow in the New Year in the traditional way.